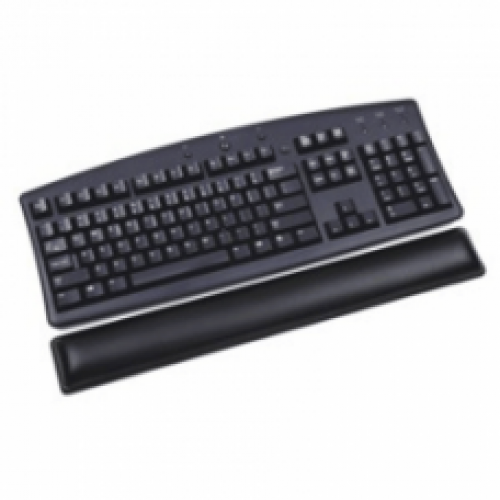 Gel-filled Keyboard Wrist Rest - 18 1/4"
Keyboard gel pad helps support your wrists in a neutral position and provide relief from contact stress caused from resting your wrists on a hard surface. 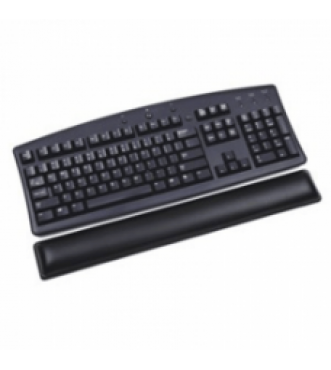 The slim, 7/8" thick profile is the perfect height for today's slimmer keyboards and is ideal for on top of the worksurface or on the front edge of a keyboard platform. Filled with a solid but comfortable polyurethane gel material. Covered in a durable, soft leatherette vinyl. Easily cleanable. Unique non-skid bottom. Self-adhesive tape included for more permanent attachment.